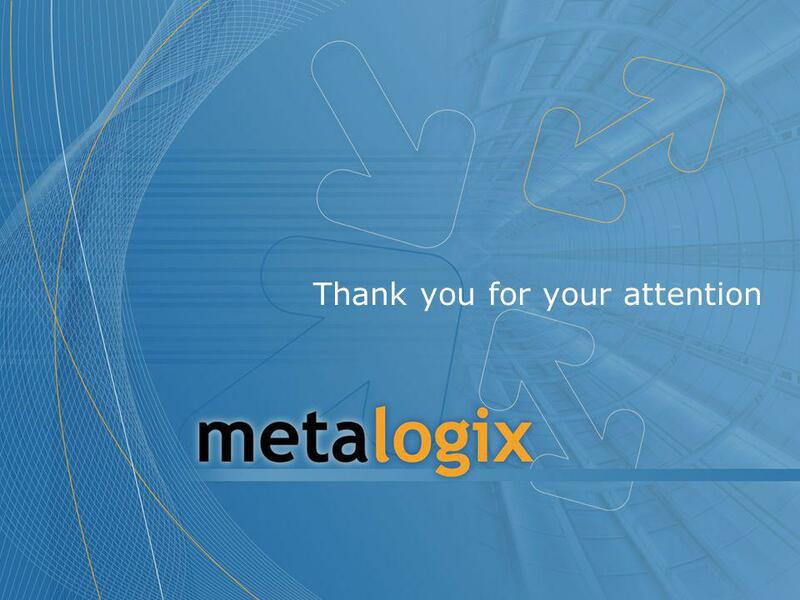 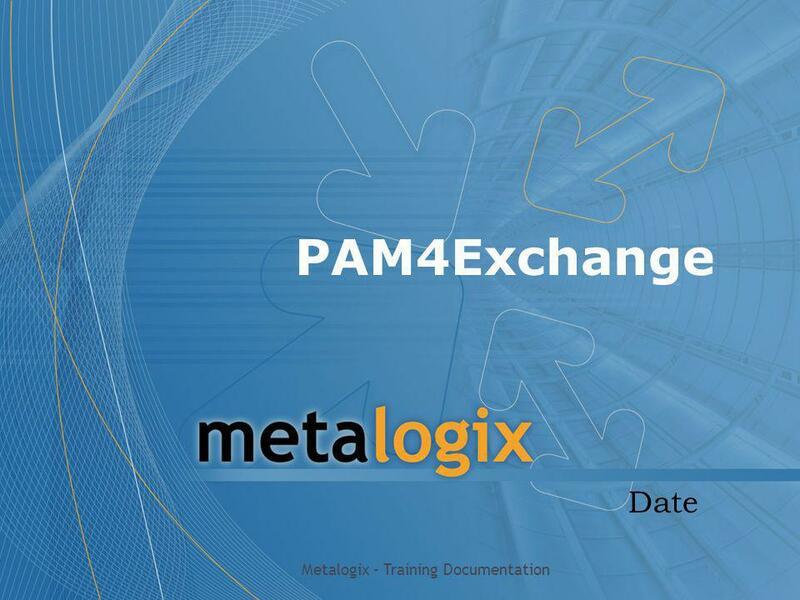 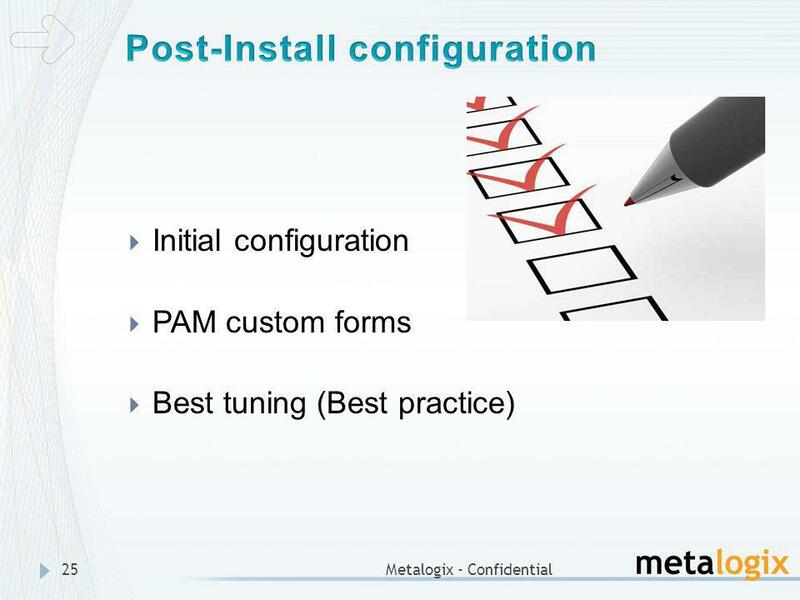 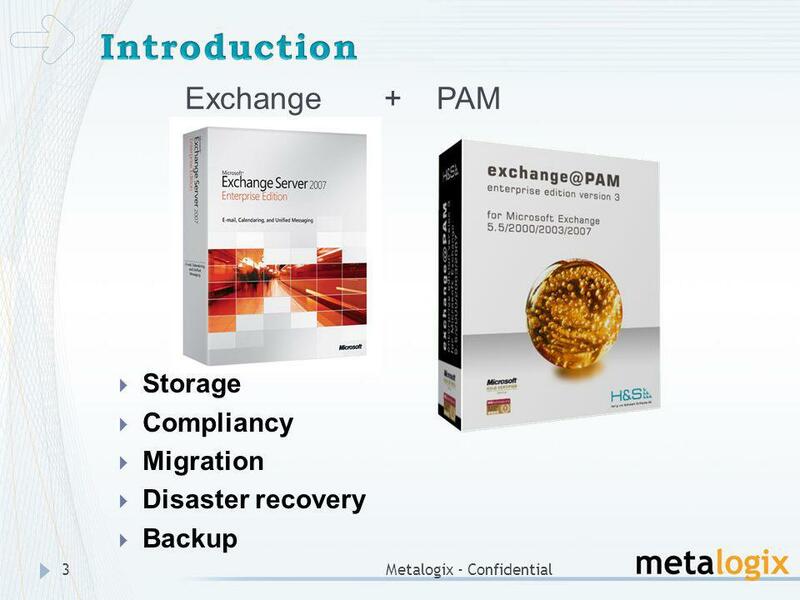 PAM4Exchange Date Metalogix – Training Documentation. 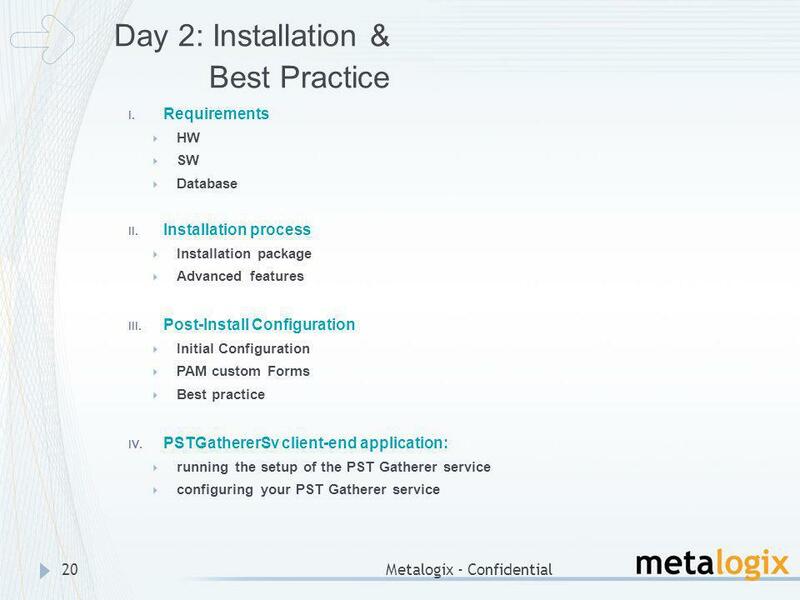 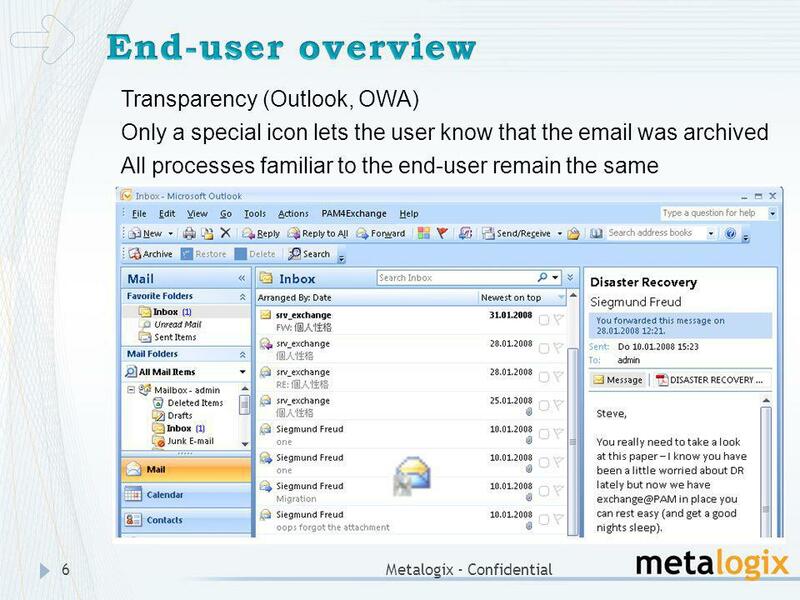 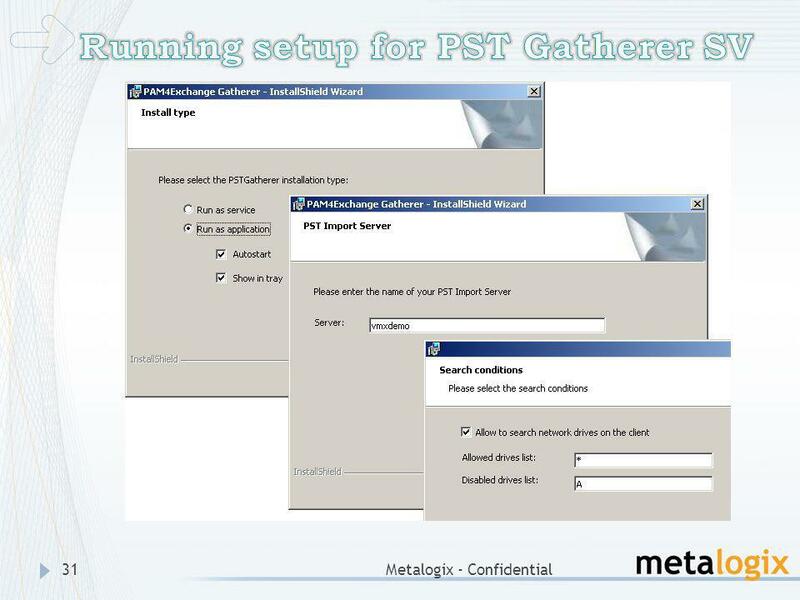 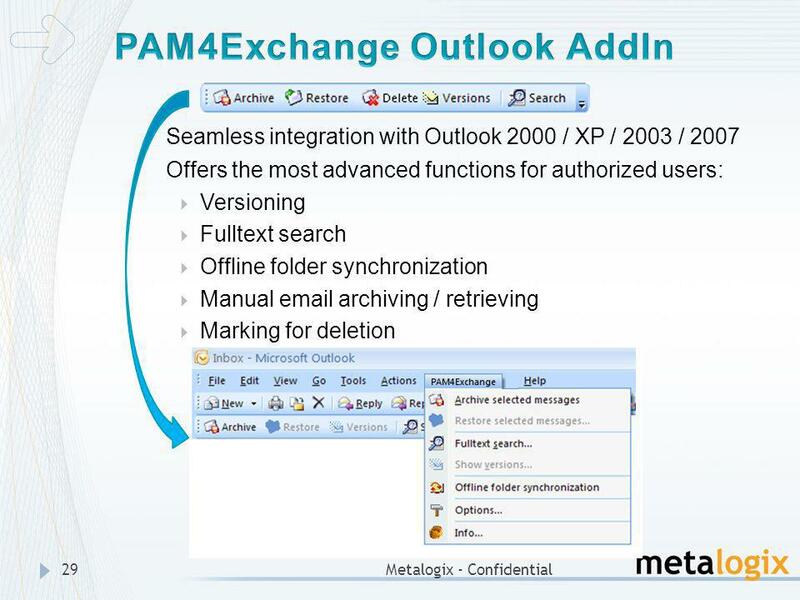 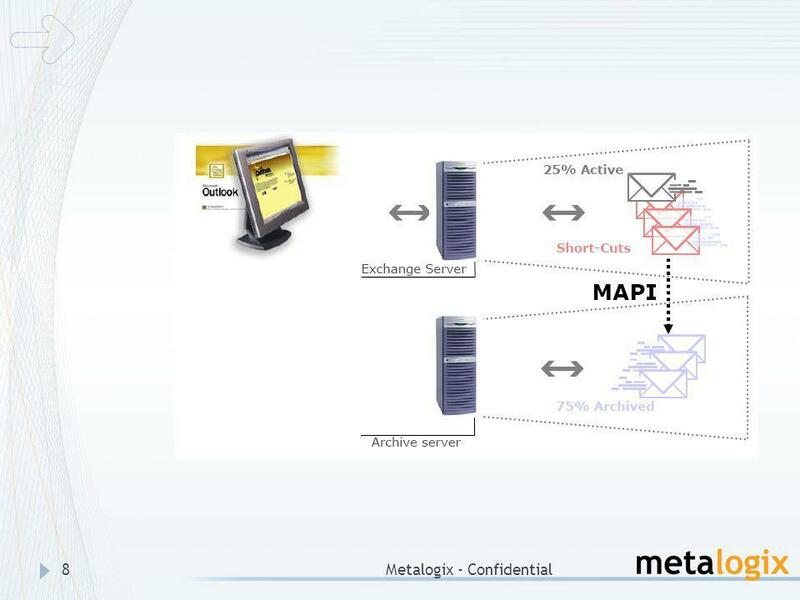 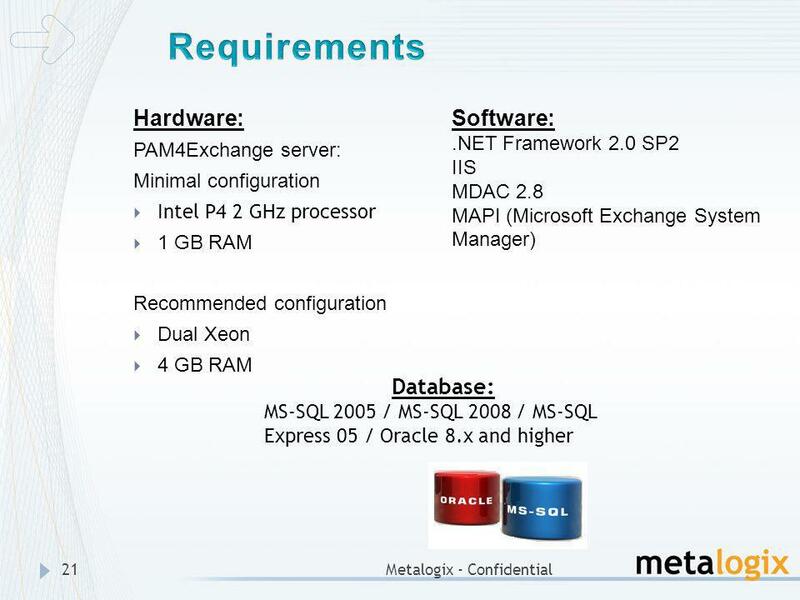 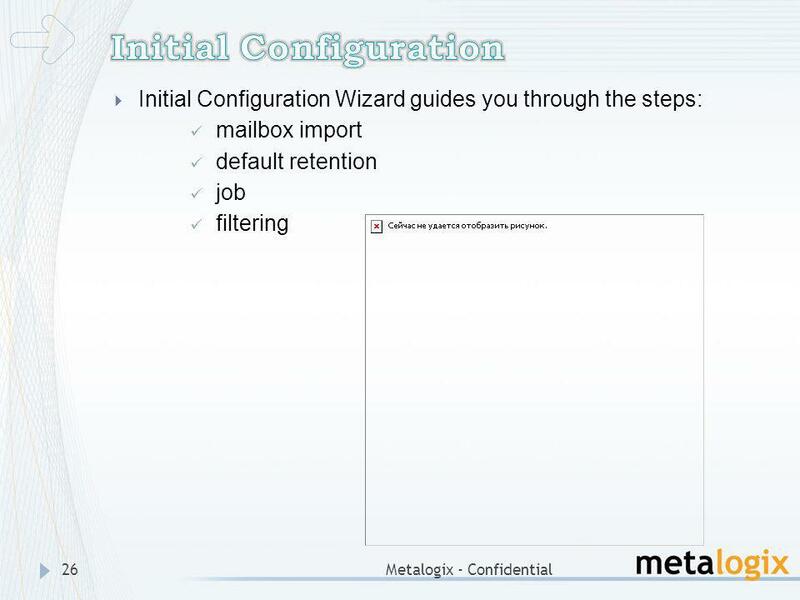 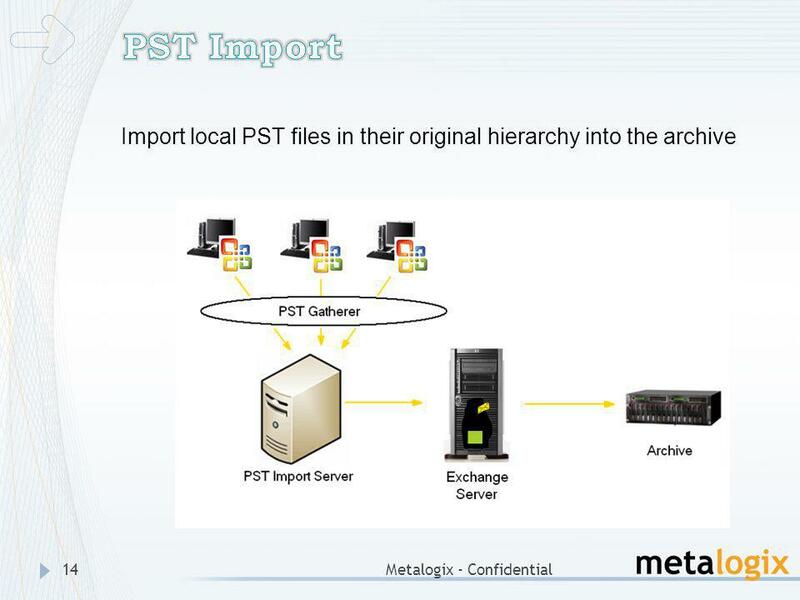 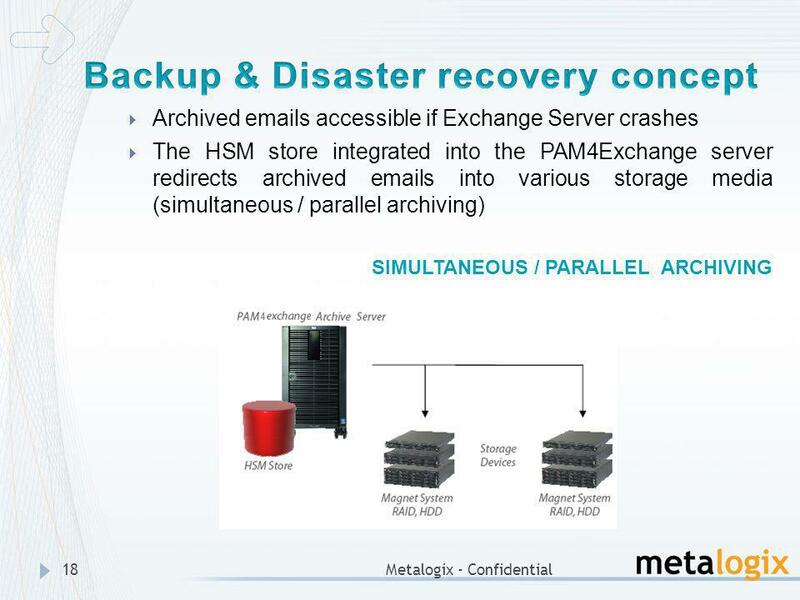 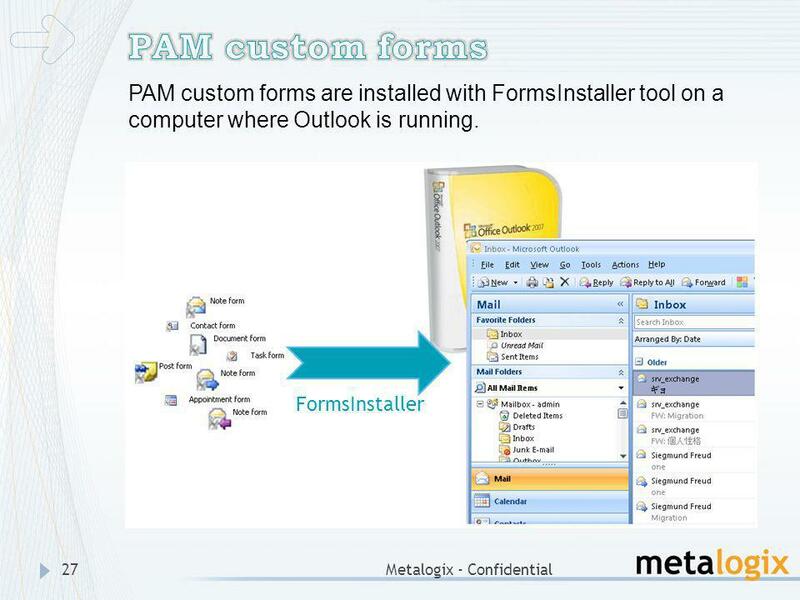 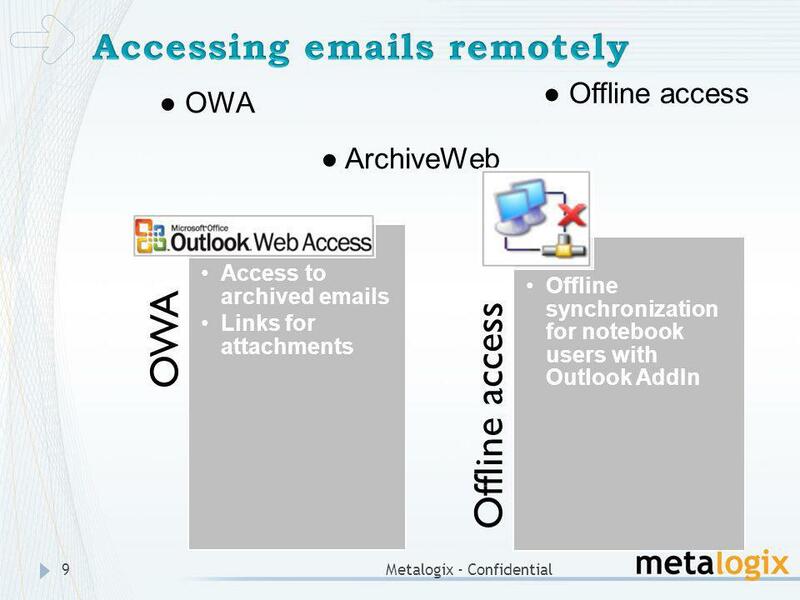 Download ppt "PAM4Exchange Date Metalogix – Training Documentation." 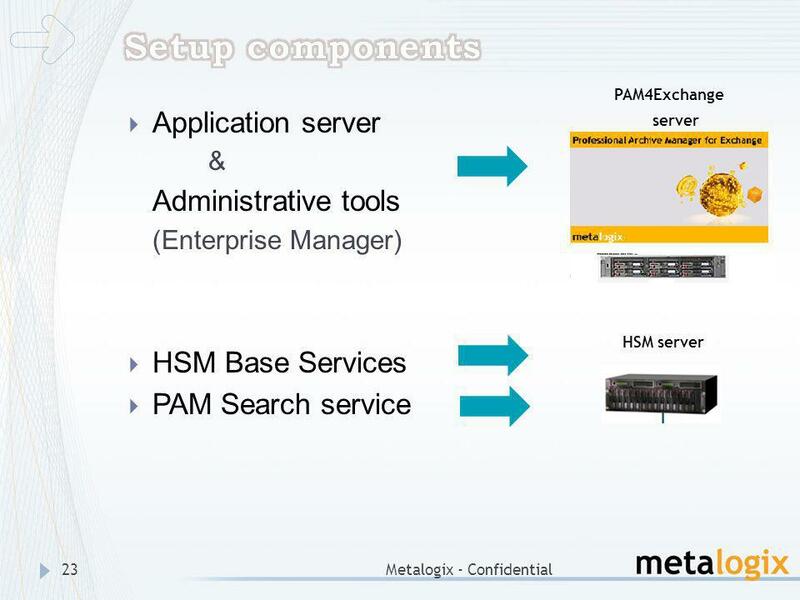 This course is designed for system managers/administrators to better understand the SAAZ Desktop and Server Management components Students will learn. 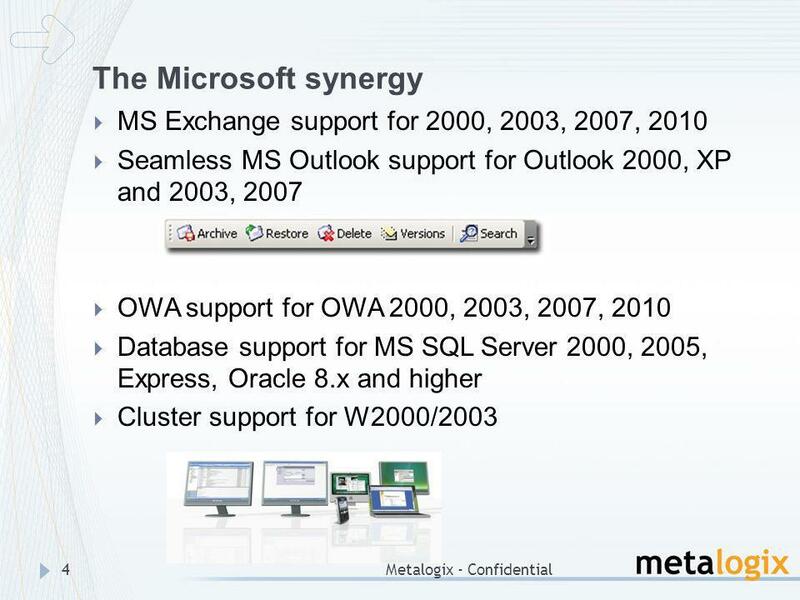 Exchange… …and the Vault Anton Lawrence IT Services 6 th March 2007. 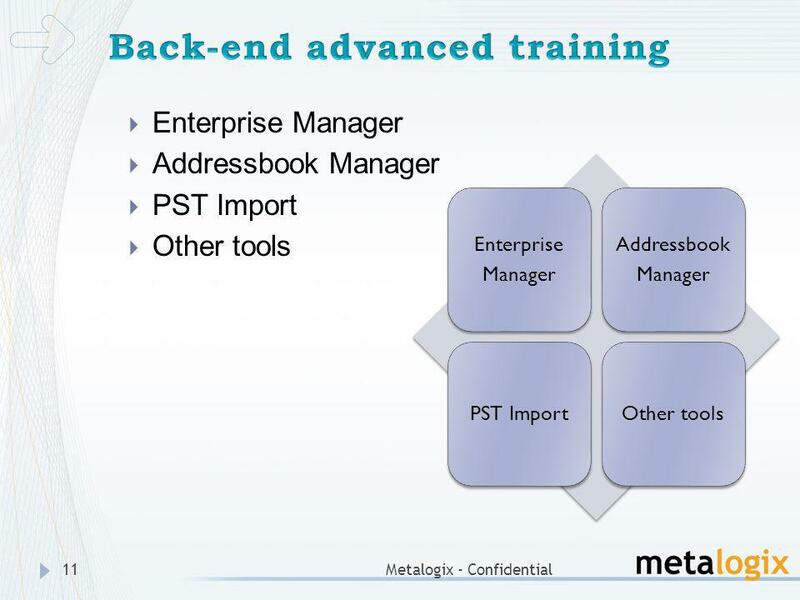 Introducing ClientTrack 13 1Company Confidential WEBINAR SERIES | August 15, 2013 Presentation will be recorded Callers muted Written questions are welcome. 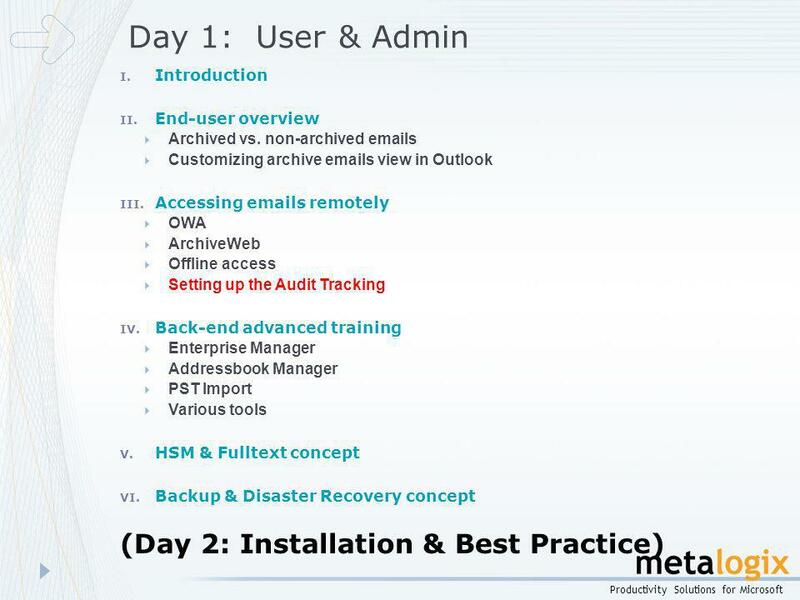 2010 Practice Management Annual Conference Document Management Optimization using Time Matters ® Presented by: Seth Rowland. 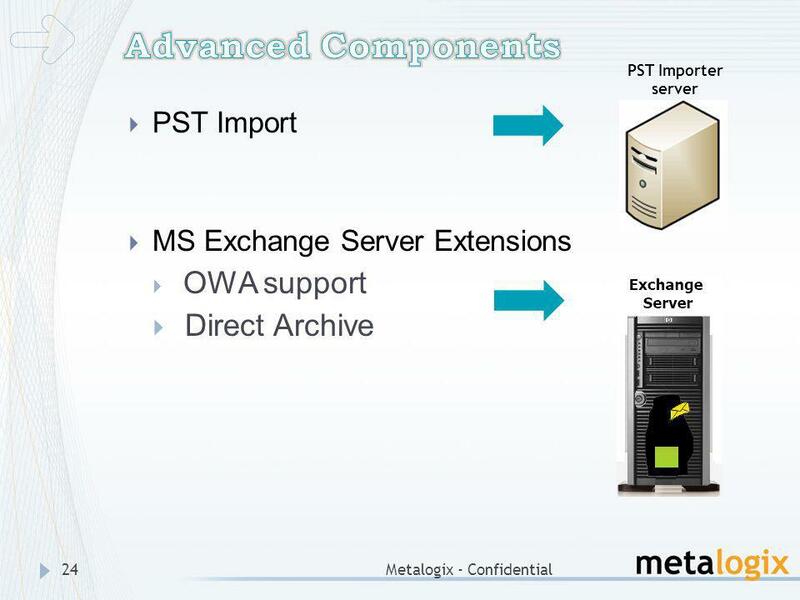 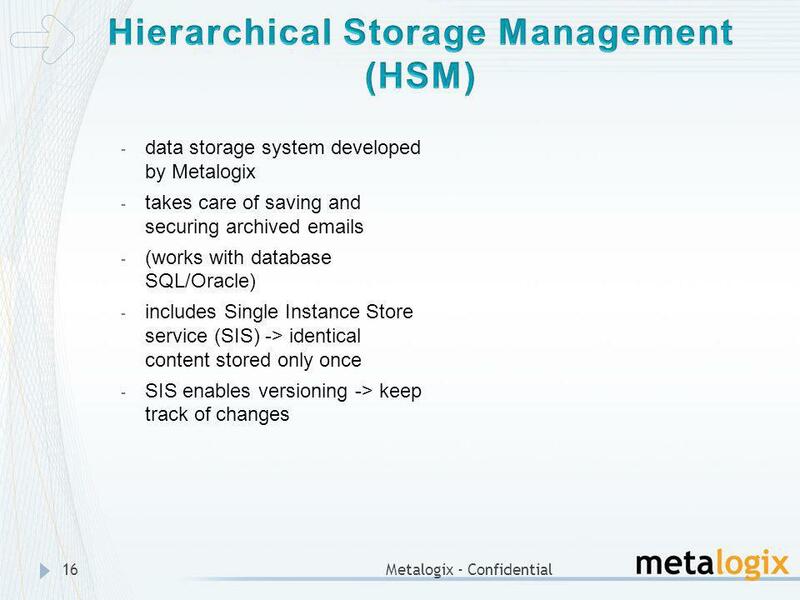 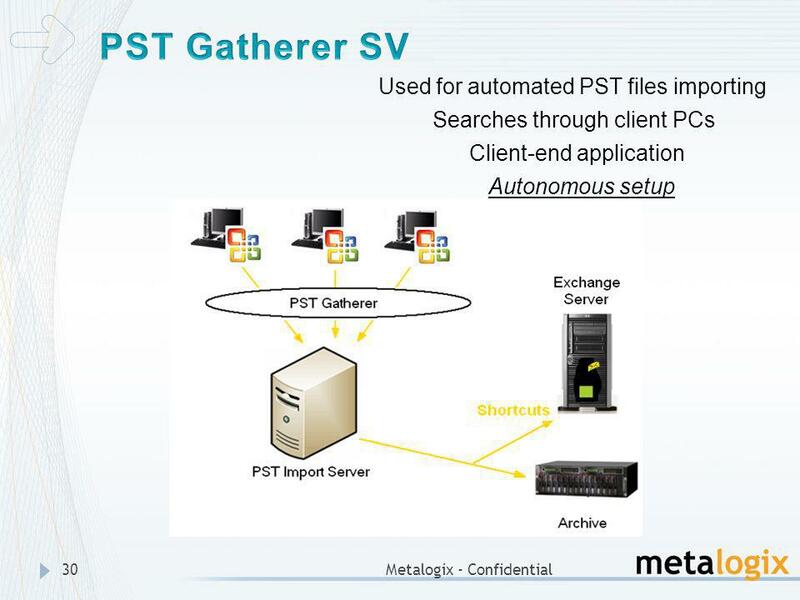 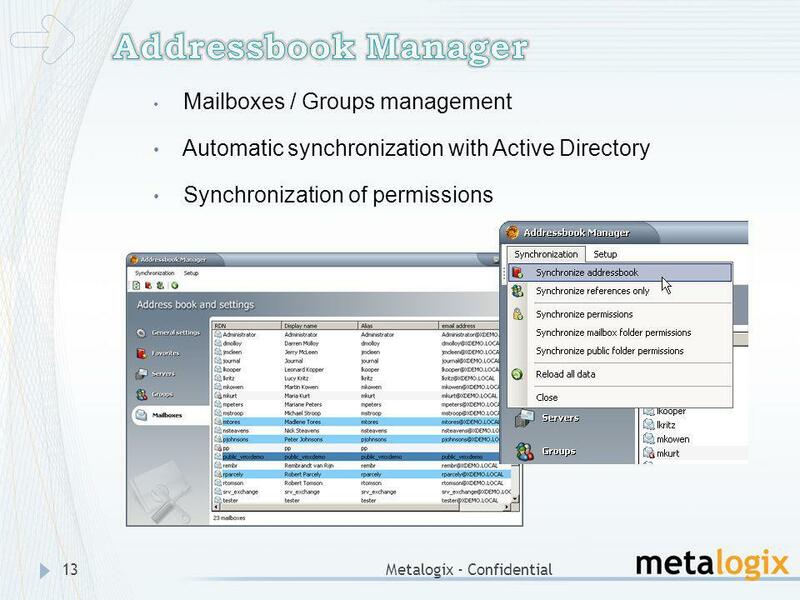 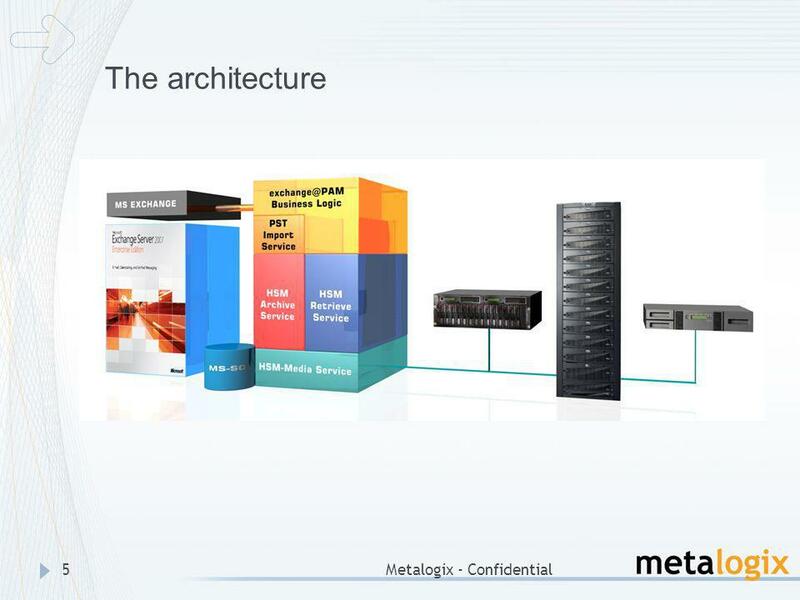 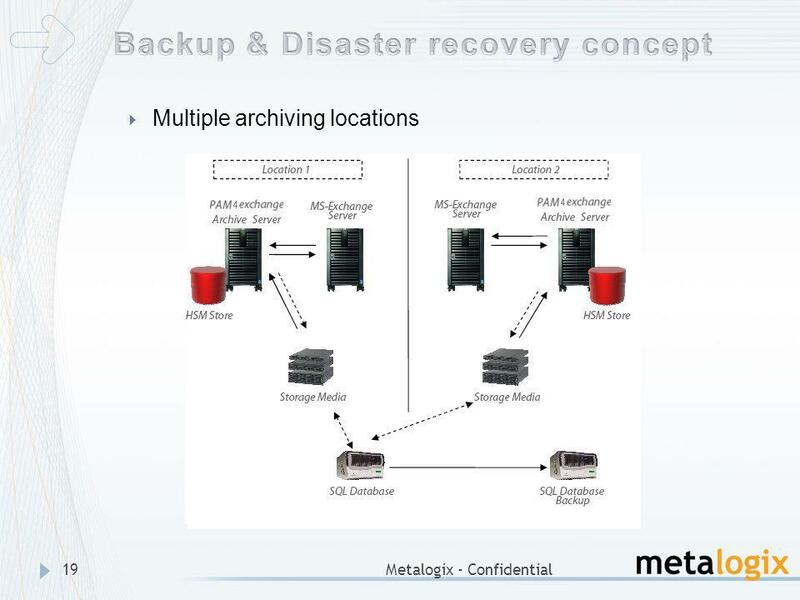 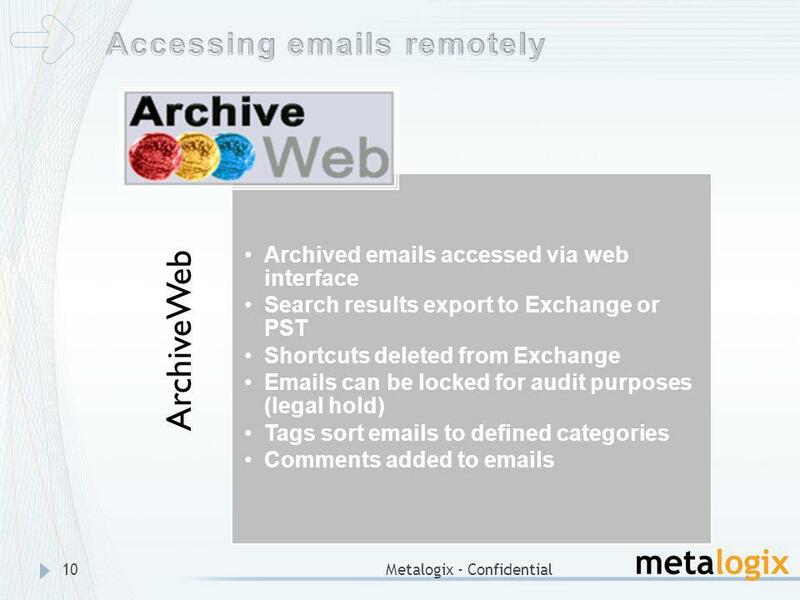 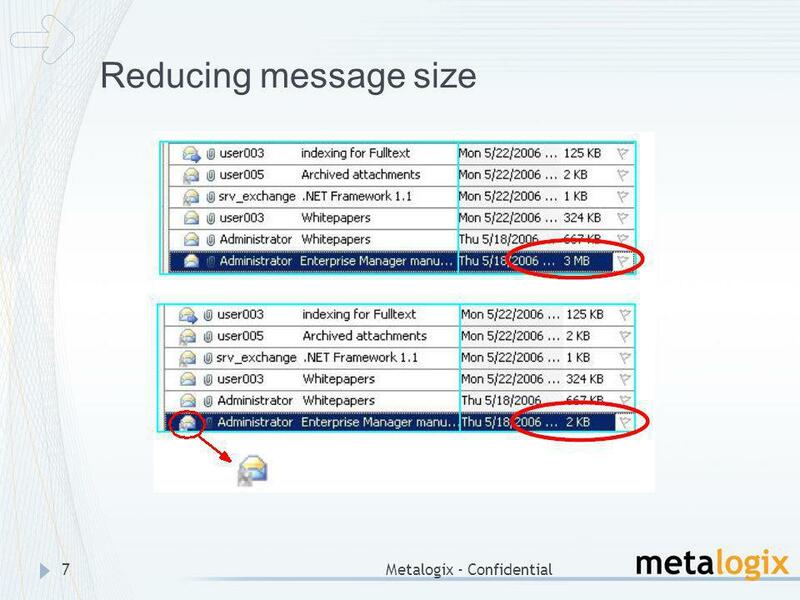 Metalogix – Confidential Professional Archive Manager for SharePoint.